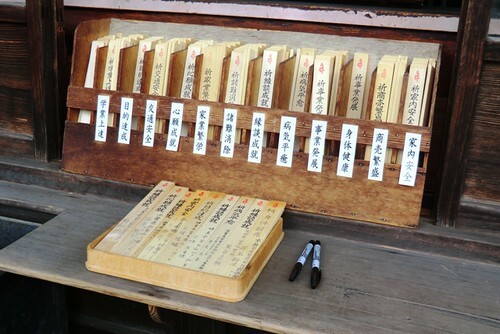 To make a wish or prayer on goma-ki: choose your preferred prayer, pay the small fee by putting coins in the box, write your name and address on the piece of wood, and leave it on the table. It will later be burned during a monthly ceremony called Goma Hō held on the 21st and again on the 28th. When your prayer is put on the fire it will be communicated to the gods and your request will be granted. In front of Daikoku-do and at the Middle Gate you will see a table with wooden slats with words printed on them, these are goma-ki that are used for writing prayers/wishes. There are blank goma-ki on which you can write your own request, but there are also pre-written versions with common prayers. 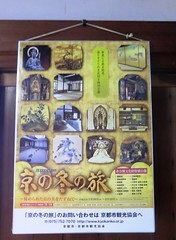 The options available at Ninna-ji are explained below. Omamori (お守り) are charms or amulets available at temples and shrines. The word contains part of the word for “protect” (mamoru 守る), and they are meant to protect the bearer from misfortune and bring good luck. Temples and shrines in Japan offer omamori for all of your luck needs, whether it be for academic purposes, health, romance, or safe travels. The charms that offer these services are usually pocket-sized and come in all sorts of shapes. Omamori are generally considered to be effective for one year, and many people will return the omamori to the place where they acquired it for proper disposal after a year has passed. Many omamori contain pieces of paper with blessings or prayers written on them. Opening the charm to see the paper, however, is thought to void its protective powers. You can see many people hanging these charms from their bags and cell phones in Japan. Omamori can make great souvenirs, and even if you don’t consider yourself a superstitious person, having a good luck charm couldn’t hurt. 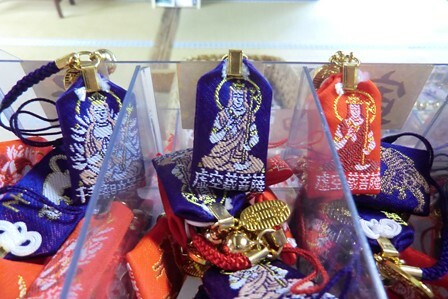 Ninna-ji has all kinds of charms, including several that are original designs, such as the Otafuku charm. 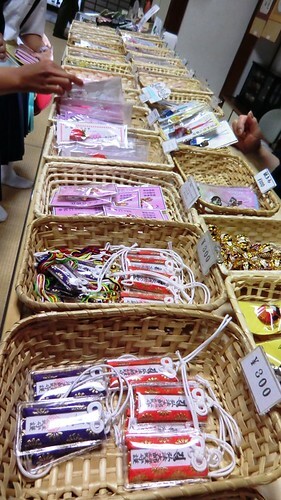 Look forward to some up-coming posts introducing different types of charms available here at Ninna-ji! Some visitors bring stamp books with them and ask at Goten or at the little building next to Kon-do for a stamp to commemorate their visit. 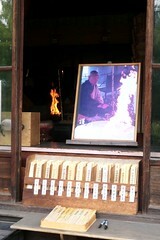 The picture above is of a monk completing a page at Goten where the chrysanthemum seal is used. The Japanese notes the name of the temple along with date. You can see the completed version below. For visitors who have left their books at home, there are also completed stamps available on single pieces of paper which can later be pasted into a stamp book. Both options cost some change, in the case of Ninna-ji, ￥300. 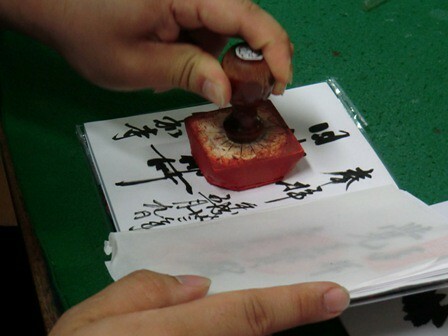 Of course if you happen to be in the market for a stamp book, you can find them at many temples and shrines. 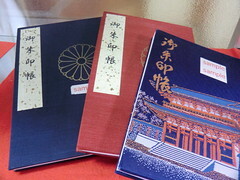 The stamp books available at Ninna-ji can be seen in the picture above.